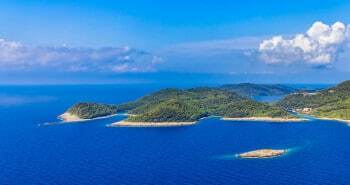 Many people consider the island of Mljet as the most beautiful island in Croatia. 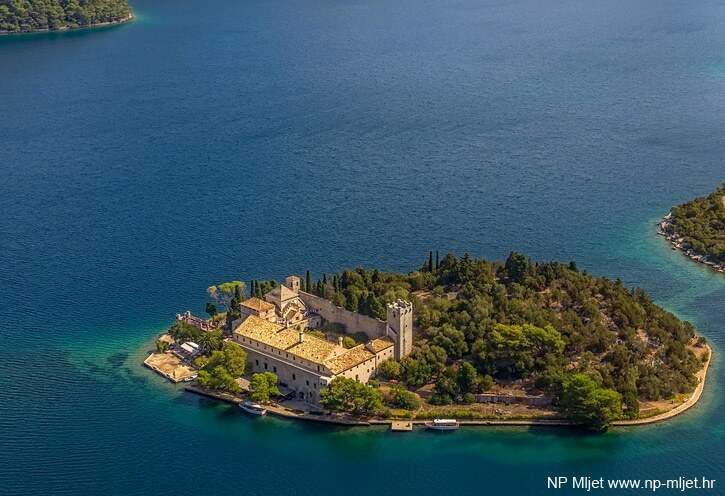 Its lush vegetation, sandy beaches and its national park are for sure a must see during your holidays in Croatia. 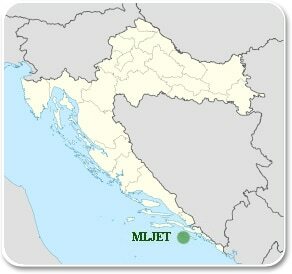 The island of Mljet is situated in South Dalmatia, between the island of Korčula and Dubrovnik. 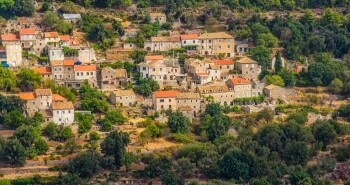 It is 37 km long and an average of 3 km wide. 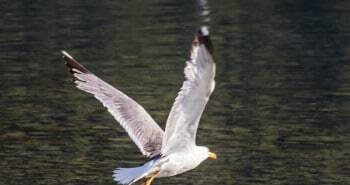 A third of the island is protected as a national park. 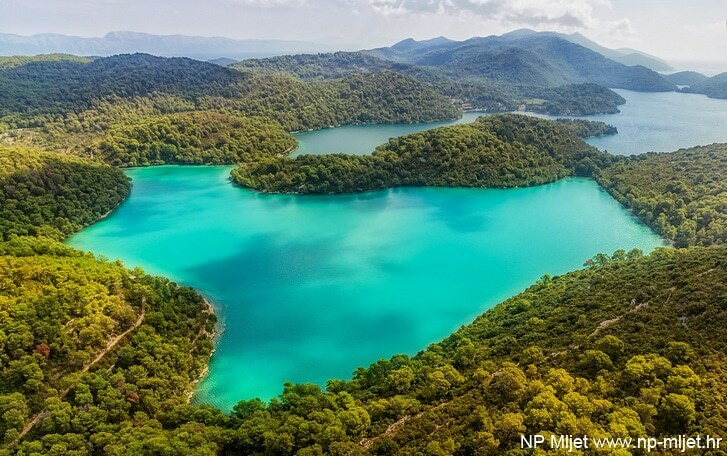 The nature is amazing on the island of Mljet, the area around the national park is called ‘The green island‘ because of its lush nature. 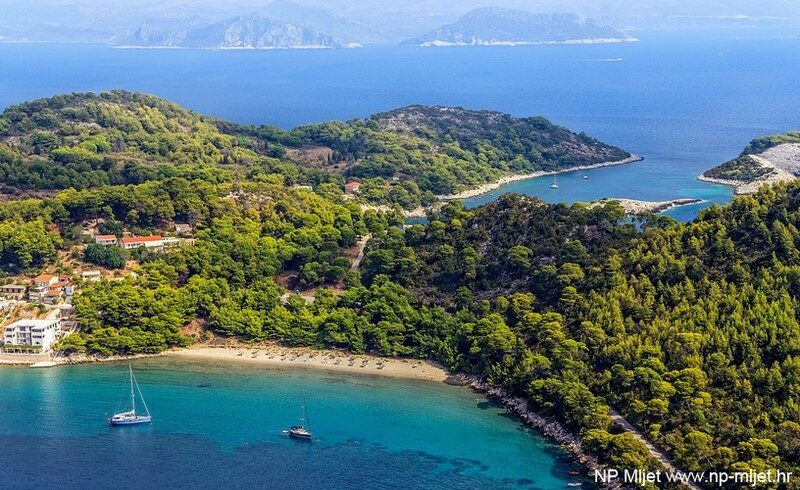 It has five types of forests that extend to the sea, among which are the Holm oak and Aleppo pine. 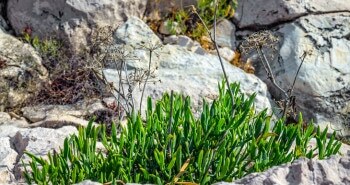 On the rocky coast we find an endemic plant called Knapweed from Ragusa (lat. Centaurea ragusina) . 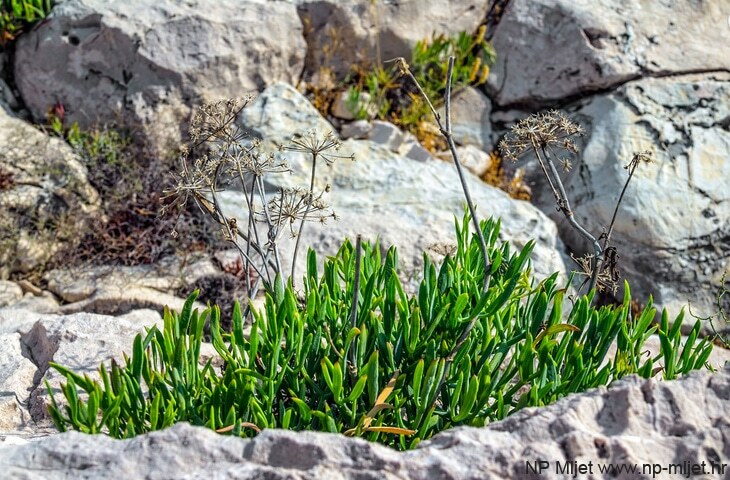 Let’s mention as well that there are no snakes on the island since the early 20th century, when mongooses were introduced on the island. 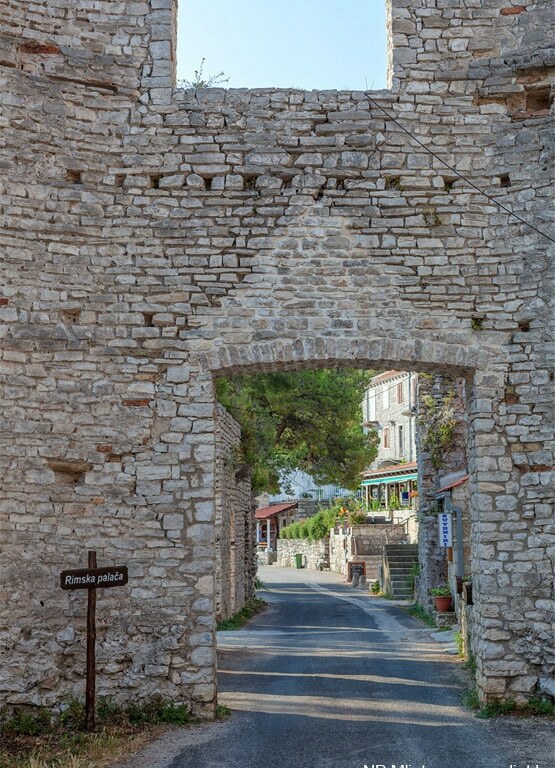 We can also mention the presence of the wild boar, the deer and mouflon. 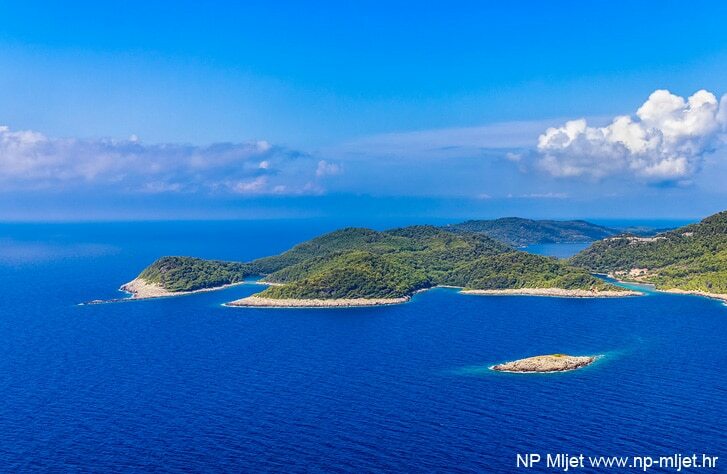 Mljet National Park has two large bays connected to the sea by such a narrow passage that they are considered as lakes. 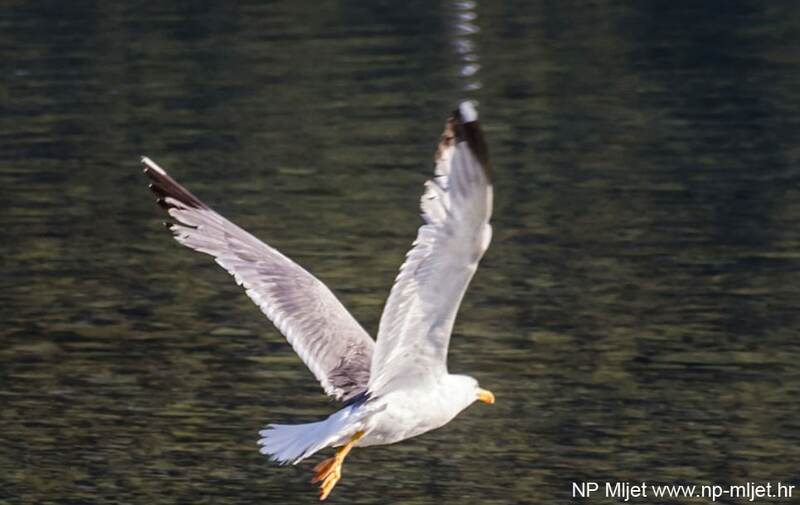 These lakes are made of salted water. 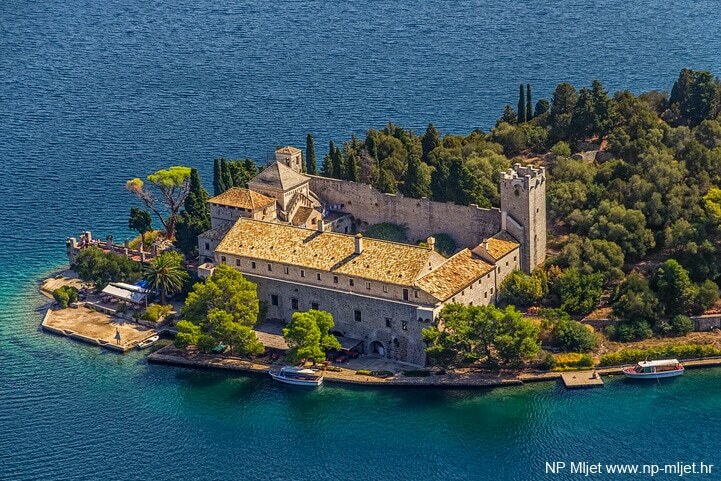 The largest lake has an area of 145 hectares and a depth of 46 m. The small lake has an area of 24 hectares and a maximum depth of 29 m.
The islet of Sainte Mary is situated on the largest lake. 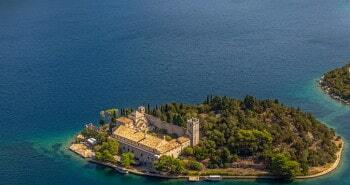 A Dominican monastery was built there with its church from the 12th century. 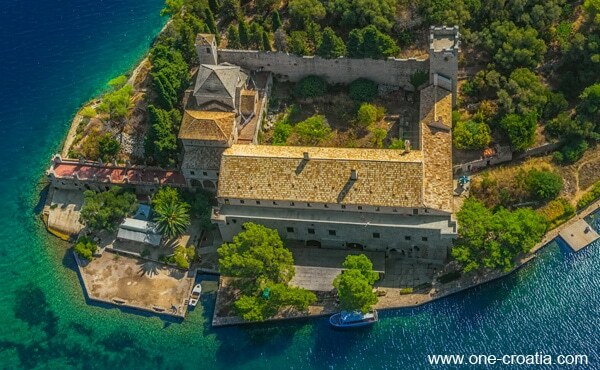 Thanks to its natural beauty and cultural interest the little island od Sainte Mary has become the symbol of Mljet national park. 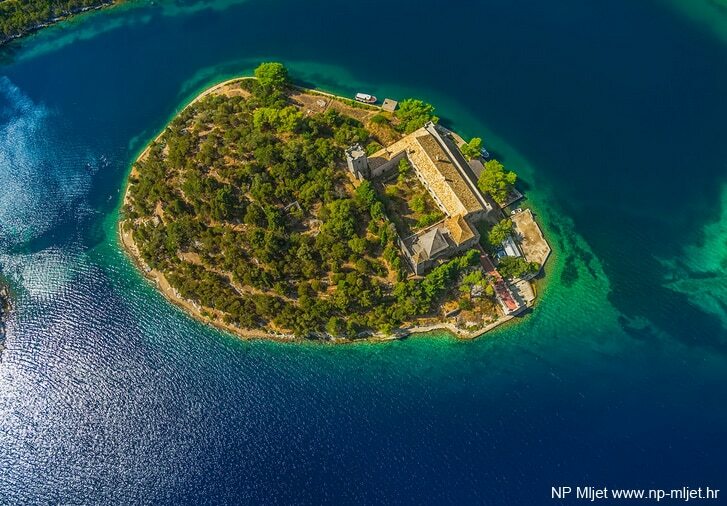 The price of the entrance to Mljet National park in July and August is 100 kn (about 13 euros) for adults, 40 kn (about 5 euros) for children over 6 years old, and free for children under 6 years old. 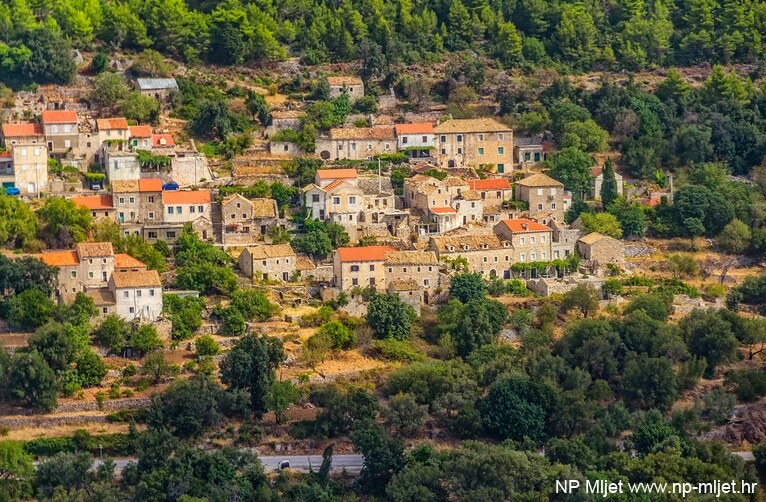 Book an apartment, a house or just a room on the island of Mljet. 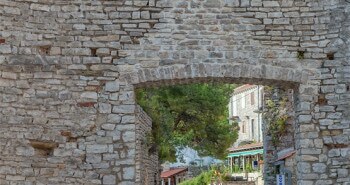 Great choice of hotel on the island of Mljet, in the vicinity of the National park.